The public park, as a recreational greenspace in public ownership, was a nineteenth century invention. The aim was to provide a public facility for people who could not afford a private facility, as it was with public libraries and bathhouses. Typically, suburban parks were places to rest after a week of hard physical work. City centre parks had a different role. They were places for high society to ‘take the air’, often in a carriage or on horseback. Cities continue to need greenspace but the social role of parks is changing and the design of public parks needs to be re-considered. Some parks should be conserved as ‘classic Victorian parks’. Other parks should be conserved as examples of garden and park design styles from other periods. Eating and drinking attract many visitors to parks. Hot drinks and snacks are becoming available but, in the UK, the sale of alcohol in parks continues to be over-restricted. Some parks are now used more for exercise than rest, because we lead sedentary lives. Facilities for organised sport were provided in the twentieth century, often detracting from parks’ garden character. 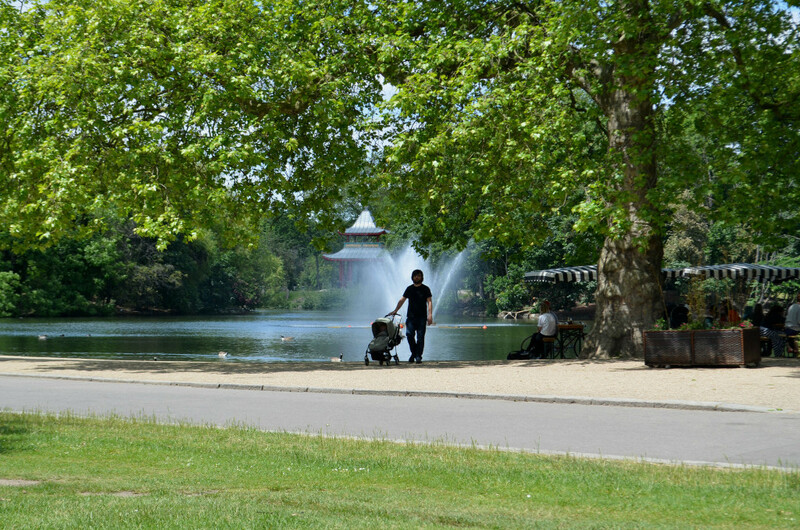 Landscape architects and managers have an important role in managing change in public parks. They can be very good park managers but, in the UK, are most often involved when when the local authority applies for a grant from the Heritage Lottery Fund. This often results in good survey and design work. The problem is that ‘heritage’ is not always the primary role of a public park. Parks exist to serve local residents and need their involvement. They need a management approach that is much more expansive than grounds maintenance and should include business management. This is distinct from commercialisation: the aim is cater for an appropriate range of open space uses without harming the everyday enjoyment of the park by visitors. Garden weddings are a case in point. They should not be allowed if they damage the park but if, like the restaurant in Holland Park, garden weddings can be accommodated without harm to the park and with considerable pleasure for the participants (and revenue for the park) they should be welcomed. Manor House Gardens is a second case in point. It was a private garden until acquired by the London County Council and opened as a public park in 1901. By 1993, when a Park User Group was formed, it was under-funded and under-used. John Hopkins, a landscape architect who subsequently played a leading role in the 2012 Olympic Park, lived nearby and offered his professional help with the design and in seeking funds from the Heritage National Lottery. The bid was successful and the Gardens have become a very much nicer place than formerly. The park users continue to work with Lewisham Council. Though run for the British governments Dept. of Communities and Local Government, it covers the whole UK plus the Republic of Ireland, and then curiously Germany, Holland, Australia and New Zealand. You can apply for an Award or vote annually if you wish.